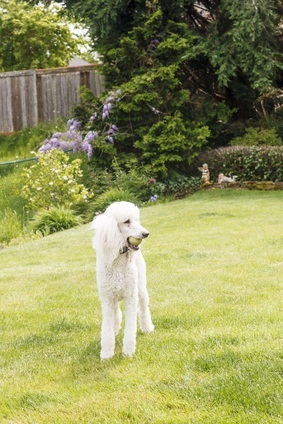 Fun surveys on poodles let you see what other owners' dogs are like compared to your own. 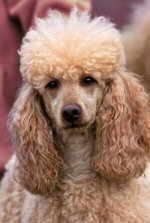 Poodles are the same dogs but yet each dog has its own unique personality. Even brothers and sisters who are adopted from the same litter will have different temperaments. They can also be different colors, sizes and weights, too. One thing that is usually evident with all poodles is that they have a terrific sense of humor, like to have fun, and are way too smart for their own good! How Unique is Your Dog? There are six surveys on this page. Once you vote in the survey, you'll be able to see how your answers compare to other survey takers. We have surveys on whether you have a male or female dog, dog colors, and poodle sizes. Take a minute or two and tell us all about your dog, and see what other poodle lovers have said about their own lovable doggies! One thing all owners say about their dog is how smart he or she is. Tell us all about your dog's personality - you can check more than one answer. It's fun to compare your dog's personality with others. Let us know how you got your dog. Many poodles are adopted directly from a breeder while others are adopted at a rescue shelter. Tell us your doggie's age! Holly lived to be 16 years old, so they can live long lives and be a loving part of your family for many years. We got Holly when I was 8 years old, so she was able to grow up with me! Holly was a black and silver poodle who never completely turned the silver she was supposed to. How Did You Get Your Poodle? What Color Is Your Poodle? Thank you for taking our poodle surveys! Tell your friends to share their poodles with us, too! Stop back regularly to check the results and visit our site! If you have ideas for polls that we can add to our site, please let us know!